Ferreira accuses Mrwebi, Jiba of squashing high profile cases - SABC News - Breaking news, special reports, world, business, sport coverage of all South African current events. Africa's news leader. Law expert says what we are seeing is only the tip of the proverbial iceberg. The National Director of Public Prosecutions (NDPP) senior advocate Jan Ferreira has told the Mokgoro Enquiry sitting in Pretoria of a series of incidents which he deemed as interference on his work and that of colleagues by their superiors. He referred to incidents dating back from 2012 among others. Ferreira has accused senior advocate Lawrence Mrwebi and Nomgcobo Jiba of squashing some of the high profile cases he and colleagues were probing. Some of the cases included that of former Crime Intelligence Head, Richard Mdluli. Mdluli was probed for fraud among others. 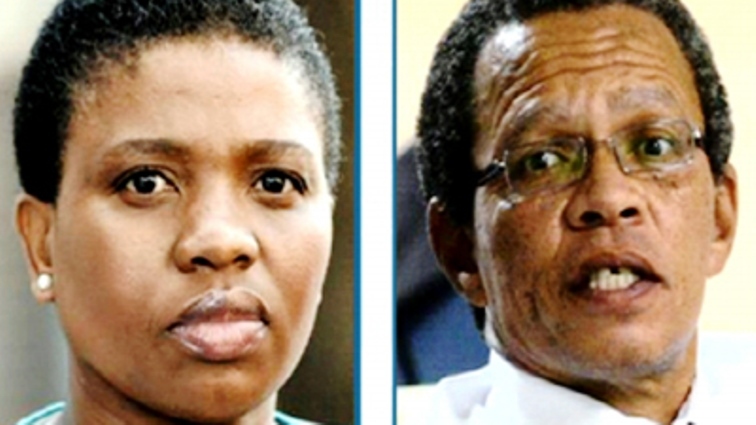 The enquiry is probing fitness to hold office against Mrwebi and Jiba. Ferreira testified that Mrwebi frequently took unlawful prosecutorial decisions despite his position not mandated to do that. Constitutional Law expert Phephelaphi Dube, says the Mokgoro Enquiry is yet to learn of the real extent of politicization at the National Prosecuting Authority (NPA). In 2015, Ferreira drafted a legal opinion which found that Jiba committed perjury when she said under oath that she considered all available evidence when authorizing the racketeering charges against former KwaZulu-Natal Hawks boss, Johan Booysen. However, that was overturned by former prosecutions boss Shaun Abrahams. This entry was posted on 24 Jan 2019,12:42PM at 12:42 PM and is filed under Politics, News, Homepage Featured Story Slider. You can follow any responses to this entry through the RSS 2.0 feed. Both comments and pings are currently closed.